If you are looking for someone to blame for the Jets' 30–17 loss to the Colts in the AFC Championship Game — although it seems unlikely that you are — we're afraid you have to put this on Rex Ryan. The Colts were a better team, of course, and what the Jets were able to do is impressive, and almost entirely attributable to their coach. But he's has spent this entire season acting like an insurgent, a guerrilla fighter waiting for the right moment to strike the more powerful opponent. Today, the to pounce came at the end of the first half. Ryan had a chance to asphyxiate the Colts. And he didn't do it. After a fortuitous turnover, the Jets had the opportunity to take full control of the game, but Ryan turned conservative: He turned into a guy who thought he had the better team. With a chance to go up 21–6, he stopped trusting Mark Sanchez, who had up to that point looked like he was somehow up for all this, and pounded the ball up the gut. The Jets did nothing, and Jay Feely plunked a tough 48-yard field goal to make it 17–6. Good. But not enough. 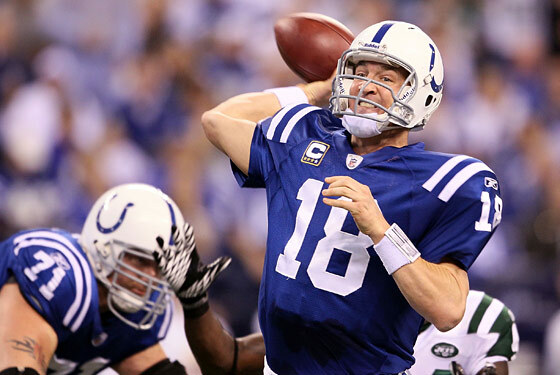 The Colts, because they have Peyton Manning and the Jets didn't, screamed down the field for another touchdown, and the game was over. The Jets do not have the team, not yet, to match Manning. They had to crush the larynx. They didn't. On one level, you can't be unhappy with the way all this turned out. The Jets made the AFC Championship game, which no one, including their brash coach, could have predicted. But when you have a crack in the door, you must rush through. The Jets did not. With the Patriots wobbly, the Jets are probably the favorite in the AFC East next year, which is its own curse. Things will be different from now on. Today, as great as Peyton Manning was, they had a chance, but they didn't take it. Maybe it was the right call, and maybe it wasn't. The Jets will have the whole offseason to think about it.